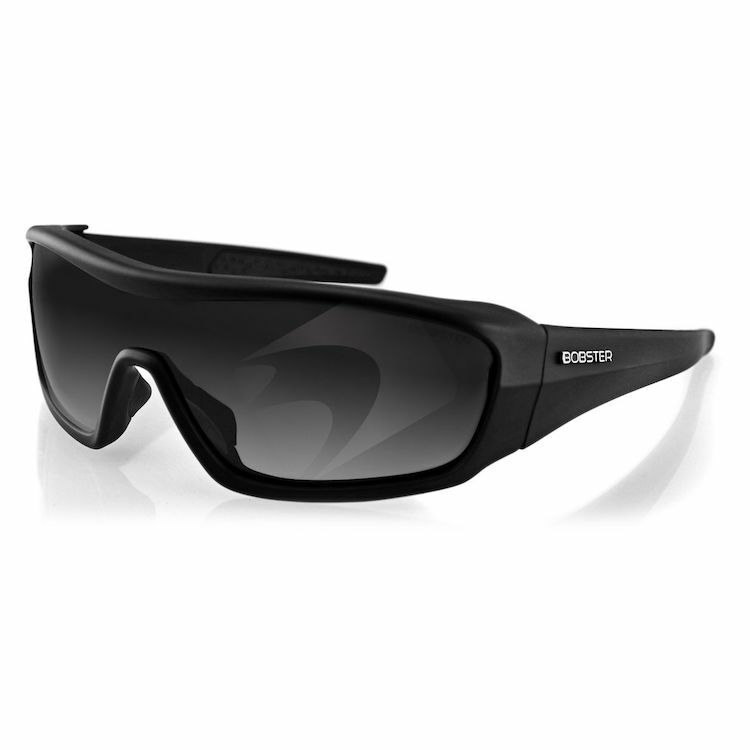 The Bobster Enforcer is one tough looking sunglasses. The single shield lens wraps around the face, while the frame has a lip at the top to protect against wind and debris. Three lenses (anti-fog smoked, clear and amber) are included so that lens can be changed according to the current lighting conditions. The Bobster Interchangable Enforcer comes with a cleaning cloth and carry case.